Blondie's is a quick service restaurant in Universal's Islands of Adventure. The restaurant is based off the Blondie comic strip, which first began appearing in newspapers in 1930. The Blondie's menu consists primarily of sandwiches and specialty hot dogs. 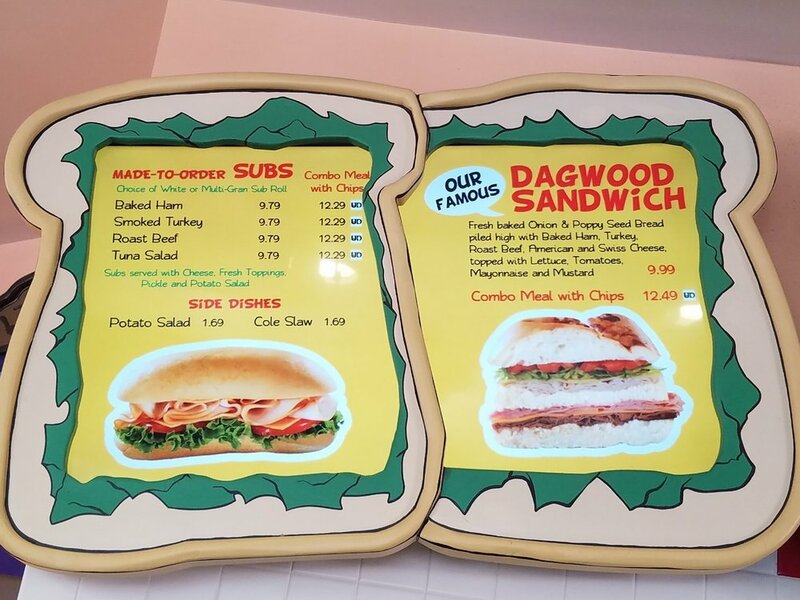 The signature sandwich is the Famous Dagwood Sandwich, which comes with three types of meat and two types of cheese on a special sub roll. Blondie's also offers a kid's sandwich for guests age 9 and under. Blondie's is located in Toon Lagoon in Universal's Islands of Adventure. Blondie's opens daily at 11:00 am. Closing times vary depending on the season and park hours. Check with Blondie's or guest services to learn more about the hours on the day you are visiting Islands of Adventure. Subs are served with cheese, fresh toppings, pickle, and potato salad. Combo meals are served with all of those things plus chips. All subs (except for the Famous Dagwood Sandwich) are served on your choice of white or multi-grain sub roll. 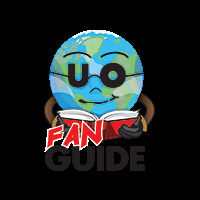 The Blondie comic strip has appeared in newspapers in 47 countries. The comic strip inspired a Blondie film series (1938–1950) and a Blondie radio program (1939–1950). Dagwood has been eating enormous, multi-layered sandwiches in the Blondie comic strip since 1936. Blondie's maiden name is Boopadoop. She married Dagwood Bumstead, heir to a railroad fortune, in 1933. Blondie was originally a carefree flapper girl who spent most of her time in dance halls, but became the responsible head of the Bumstead household after marrying her boyfriend Dagwood, who was disinherited after marrying beneath his class. 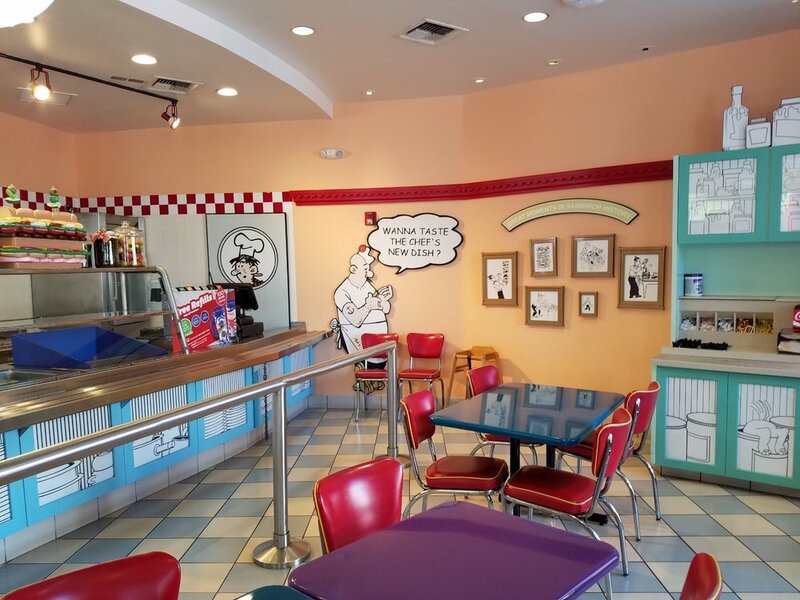 Comic Strip Café - A comic-strip themed quick service restaurant with indoor and outdoor seating and a large and varied menu. Wimpy's - A seasonal burger restaurant with outdoor seating. Cathy's Ice Cream - A walk-up ice cream stand with outdoor seating.